Star at Sancton owners Ben and Lindsey Cox with their children Dalton and Demi. Two popular watering holes in the area are in the running to be crowned Yorkshire’s Favourite Pub 2016. After reaching the final last year, The Star at Sancton has reached the final of the prestigious competition once again along with 11 other finalists, including The Duke of York Inn in Gate Helmsley, near Stamford Bridge. The Duke of York Inn. The competition, run by tourism agency Welcome to Yorkshire, saw the public nominate 700 pubs with a staggering 10,000 votes cast. Lindsey Cox, who owns and runs the The Star at Sancton with her husband Ben, is delighted that their pub has reached the final of the competition for the second year running. Antony Pratt, owner of The Duke of York Inn, said: “We are absolutely delighted to have made it to the final 12 in the competition and to stand a real chance of claiming the prestigious accolade of ‘Yorkshire’s Favourite Pub’. To vote for the winner, visit www.yorkshire.com/pub. 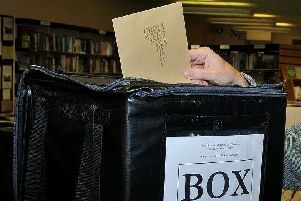 Voting closes on 27 June. The competition was first launched in 2011 to help promote Yorkshire’s great variety of pubs and the top 30 nominated pubs will once again feature in Welcome to Yorkshire’s Ale Trail leaflet.